Have you ever lost your valuable files or precious photos and videos by mistake? If yes, you must know how heartbreaking situation is it. The only way to get rid of this situation is – a data recovery tool. 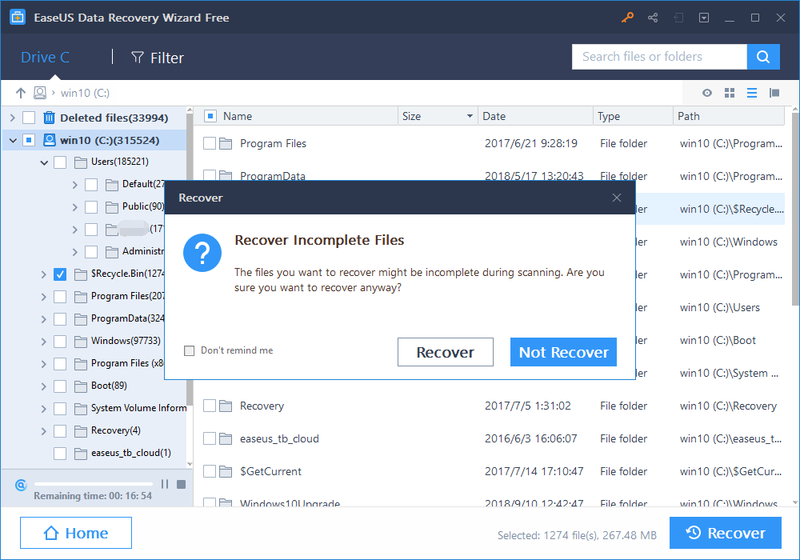 When it comes to best free data recovery software, so there is no need to introduce EaseUS as it is the best recovery tool without any doubt, after all, it offers plenty of advanced features and intuitive interface that makes data recovery as easy as you lost data. EaseUS claimed to do data recovery quickly and easily. 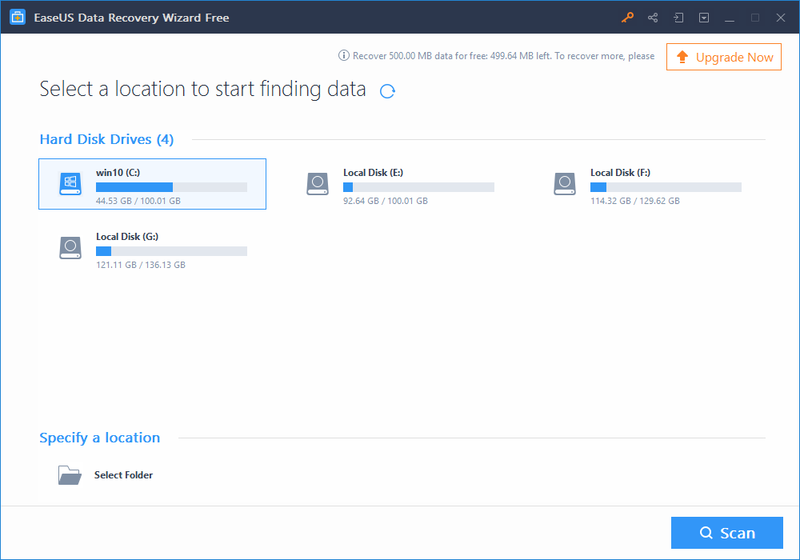 No matter what the reason behind losing the data, it can promise you to recover deleted files from different data loss situation, including data recovery after system crash, recycle bin recovery after emptied, mac data recovery, hard drive recovery, usb recovery, memory card recovery and even it can photos and videos from digital camera and smartphone as well. It is able to recover more than thousand types of file types, such as graphics, videos, audio, document, email, and other files. 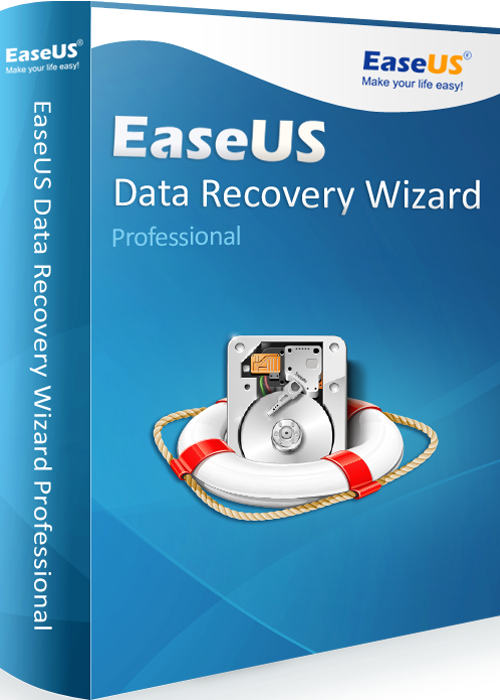 In the very first step, launch the EaseUS data recovery wizard on you device. Then launch it on your PC or laptop and select the location where you have lost your data. Then just click the “Scan” button to further recovery processing. There are two flexible scanning modes are available; the Quick scan and the other one is deep scan. The quick scan starts first and searches for lost and deleted files or folders. After completing it, the deep scan starts automatically in order to scan the device sector by sector or we can say to find more lost data. When both scanning process has done, the application now show you a list of all recoverable files. 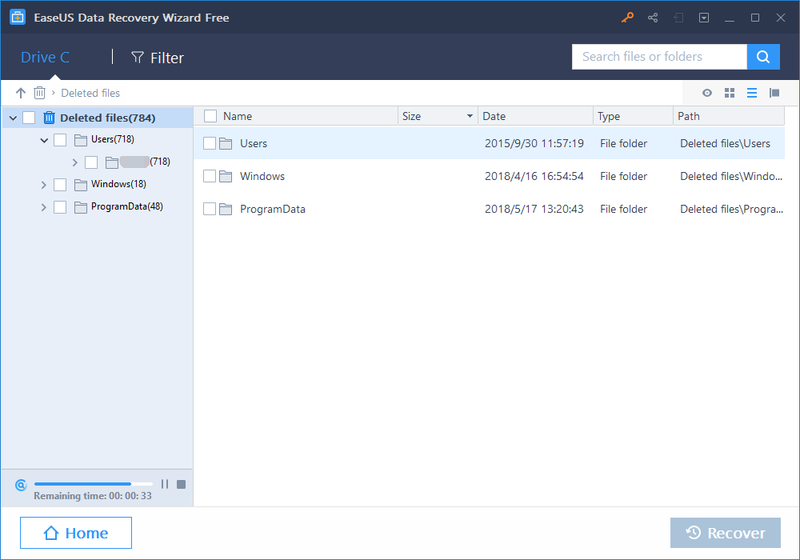 Preview all files and choose whatever you want to recover and then click the “Recover” button.